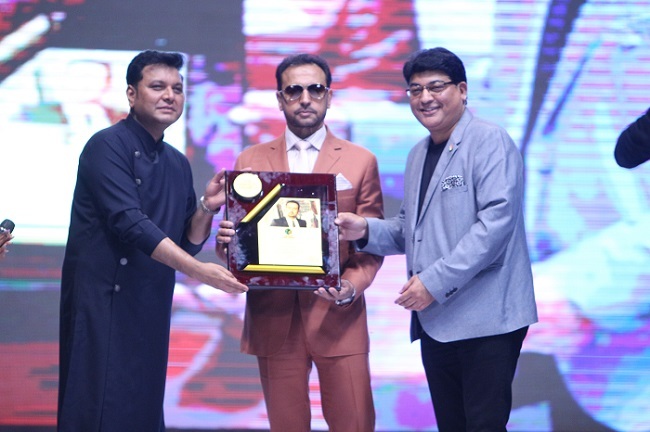 JD Institute of Fashion Technology, a pioneer in the field of design education for the past 27 years, organised The Fashion Awards at JLN Stadium, New Delhi held on 17th and 18th June. The Annual Design Awards are one of the biggest platforms for students to showcase their flair for design. It will for the first time in the history of this mega film festival in Russia, that a section is dedicated to Indian Cinema showcasing path breaking films from the Indian Film Industry which are collectively named as the INDIAN PANORAMA. It is also special as this year Moscow International Festival will be celebrating 70 Glorious years of India-Russia friendship. The festival scheduled to be held from 22- 29 June 2017 at Moscow and would see the presence of Mr. S.S.Rajamouli & Mr. Gulshan Grover who would represent the Indian Film Fraternity amongst a galaxy of film stars from Russia and across the world. The evening saw some elite desginers and celebrities such as Prashanti Tipirneni, Rina Dhaka, Sunita Kohli, Shenaz Hussain, Murad Ali, Mandirawirk, Nitya Bajaj, Varija Bajaj, B.K Tanuja, Nitin Mehta, AnupamaDayal, Nida Mahmood, Samant Chauhan, Prasoon Dewan, Sharon Lewon, David J Reid, PETA India etc.